Losing weight can be a daunting task for anyone. Dieting safely and gradually will ensure that the weight comes off quickly and stays off. Never reduce your caloric intake below 1200 calories per day. Weight loss does require taking in fewer calories and increasing caloric expenditure. However, reducing calories too much can significantly decrease metabolic rate, which is the exact opposite of what you want. Combine a sensible diet, progressive resistance training, cardiovascular exercise, dietary supplements, and plenty of water for best results. Calculate your maintenance calories, or those required to maintain your body exactly as it is at rest. Losing one pound of weight requires a caloric deficit of 3500 calories. To create this deficit, you must reduce your caloric intake to 500 calories below your maintenance level. Maintenance calories can be calculated by a personal trainer, or you can utilize the free resources at Bodybuilding.com. Once you have your caloric intake for each day figured out, you can determine your macronutrient percentages. Macronutrients are protein, carbohydrates and fat. Take in 30 percent of your calories from protein, which has 4 calories per gram. For carbohydrates, which also have 4 calories per gram, take in 40 percent of low glycemic carbs such as berries, apples, brown rice and oatmeal. The other 30 percent of your diet will come from healthy fats (9 calories per gram) such as omegas, olive oil, nuts and seeds, and avocados. Spread your calories out over 6 small meals, for example, breakfast, lunch, dinner and three snacks. Find a workout plan that includes both cardiovascular and resistance exercise. Besides, amping up your metabolism to burn more calories, these forms of exercise improve bone density, blood glucose levels, and overall health and wellness. Start with 30 minutes of resistance and cardiovascular exercise each, three days a week. As your diet progresses increase cardio length and frequency. Do not weight train for more than five days a week. And always take at least one day off of cardio. Examples of good programs that combine cardio and resistance training are Xtreme Lean (www.x-rep.com) and Combat the Fat by Jeff Anderson. Bodybuilding.com also offers many free resources, including programs for men and women. 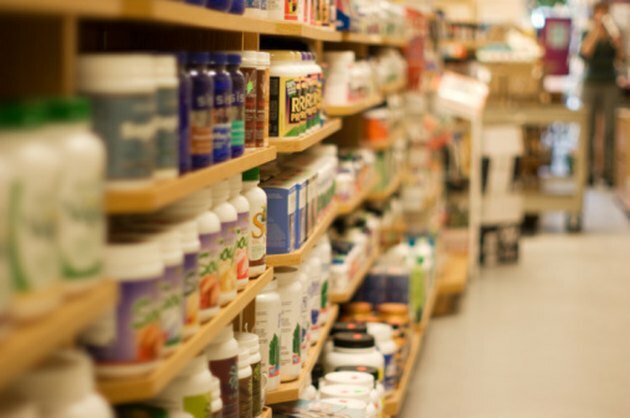 Purchase some basic supplements to support your weight loss goals. A multi-vitamin, omega-3 and a protein supplement are good places to start. Whey protein makes a perfect fat-burning snack between meals. The most important supplement is water. Drink plenty of water throughout the day. Try drinking a full glass with each of your six meals, and sip from a bottle during the day as needed. Also, consider a fat-burning supplement, which can increase the rate at which you lose body fat, along with a well-conceived diet and exercise plan. Cheat one day a week. Eat whatever you want for one meal. Not only does cheating give your cravings a break and recharge your will power psychologically, it prevents your metabolism from slowing down. The body can adjust our metabolic rate to account for lower caloric intake. By spiking calories for one day, we send a message to the body that starvation is not a threat, and metabolism will not grind to a halt. The next day, go right back to your diet. Can You Take a Multivitamin Supplement & a Calcium Supplement at the Same Time?